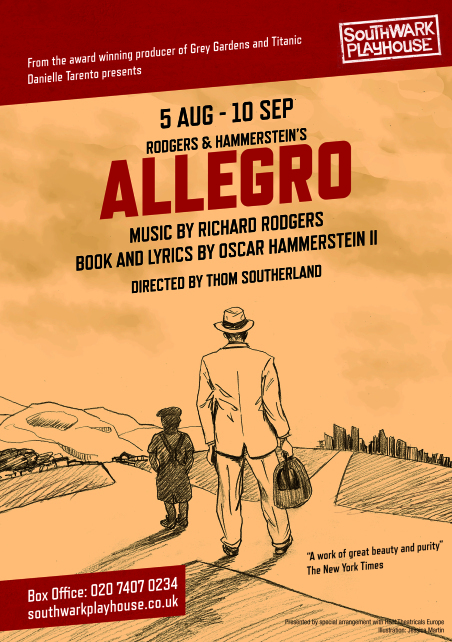 Full casting has been announced today for the professional European première of Rodgers & Hammerstein’s Allegro was their third collaboration for the stage following Oklahoma! and Carousel, and which opened on Broadway in 1947. The show will open for a six-week run in The Large at Southwark Playhouse from Friday 5th August until Saturday 10th September. It is produced by Danielle Tarento and directed by Thom Southerland, the award-winning team behind Grey Gardens, Grand Hotel, Titanic, Parade and Mack & Mabel. 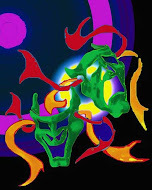 Southerland is working on a new adaptation of the book and the production will have brand new orchestrations. Allegro new final posterPlot: In 1905 in a small Midwestern town, the wife of a local doctor gives birth to a baby boy, Joseph Taylor Jr. Allegro chronicles nearly four decades in the life of this average Joe – through his childhood, from college dorm to marriage altar, and on to his own medical career; from the tranquility of his hometown to the hectic din of big city life and a mid-life discovery of who he is and what his life is truly about, ultimately learning the most important lessons of all – the value of family, that money isn’t everything and that home really is where the heart is. The cast includes Katie Bernstein (Emily West)/Peggy in Mrs Henderson Presents, Emily Bull (Jennie Brinker)/Sunset Boulevard and Sweeney Todd at the ENO and Cosette in Les Misérables, David Delve (Ned Brinker)/ Colonel-Doctor Otternschlag in Grand Hotel at Southwark Playhouse, Julia J Nagle (Marjorie Taylor)/West End and tour in Dirty Dancing, Dylan Turner (Charlie Townsend)/ Beautiful – The Carole King Musical, Chariots of Fire and Rock Of Ages, Susan Travers (Grandma Taylor)/ Rodger’s and Hammerstein’s State Fair at Trafalgar Studios, Gary Tushaw (Joseph Taylor Jr)/ Sunset Boulevard and Sweeney Todd at the ENO and Steve Watts (Dr Taylor)/ Chariots Of Fire. They are joined by Cassandra McCowan, Matthew McDonald, Louise Olley, Benjamin Purkiss, Jacqueline Tate, Samuel Thomas, Leah West and Matthew Woodyatt. The full creative team are: Director Thom Southerland, Orchestrator Mark Cumberland, Musical Director Dean Austin, Choreographer Lee Proud, Set Designer Anthony Lamble, Costume Designer Jonathan Lipman, Lighting Designer Derek Anderson, Sound Designer Andrew Johnson, and Producer and Casting Director Danielle Tarento.